Sean Dowling at Beaverstown’s 17th. A 12-year-old golfer from Donabate has become the youngest winner so far of a limited-edition BOSS watch after he scored a hole-in-one during a monthly medal at his club. Sean Dowling scored his ace on the 162-yard, par-three 17th, in the men’s May medal at his club, Beaverstown, and the seven-handicapper was rewarded with membership of the exclusive BOSS Watches H1 Club and a specially-commissioned, commemorative timepiece. What’s more, Dowling also beat off the challenge of 179 other members to shoot the best gross score, a feat he achieved also in the previous month’s competition. A member of the national under-14 coaching panel, under the auspices of Neil Manchip, Dowling will head off to Pinehurst, USA, in August, after competing in the under-12 section of last week’s prestigious US Kids European Championship, at Gullane No 2, in Scotland, and finishing fourth overall. 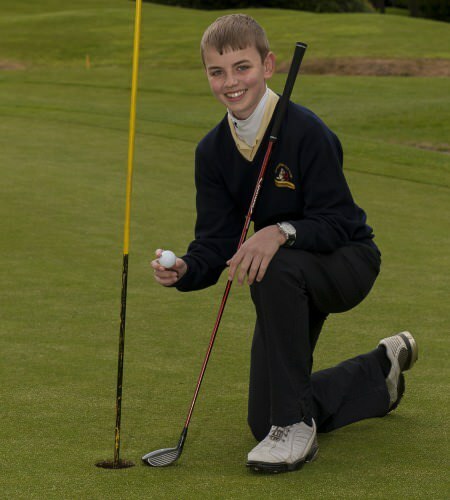 Later this year he will also be competing in the under-13 and under-15 provincial championships and the Irish Boys Under-15 Amateur Open, at West Waterford G&CC. He also hopes to continue to impress sufficiently to be selected for Ireland for the upcoming English Under-14 Open Amateur Stroke Play championship, in August. The luxury German brand has pledged to reward club golfers with an exclusive watch for every hole-in-one recorded during a club competition between April 15 and October 31 this year. 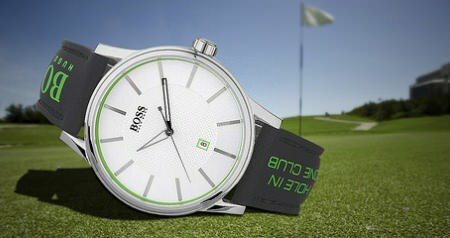 And, with nearly 4,000 holes-in-one recorded annually, BOSS Watches could feasibly be giving away £1m-worth in 2013. The scheme is open to any golfer whose club uses HowDidiDo - a free-to-use, web-based social network for golfers - and anybody playing in official club competitions will be eligible. Currently, more than 1,800 clubs use the website. No extra registration is required to participate in the BOSS Watches promotion as all official club competitions are recorded on the HowDidiDo system, so holes-in-one will be noted and automatically ratified by the golfer’s club. More than 4,000 golfers have so far received an exclusive BOSS watch for holing an ace during a club competition, but Buncrana's Kyle McCarron has claimed the longest hole-in-one to date - on a monster 360-yard par-four. Never mind the birdie, watch the eagle! Slade Valley’s John O’Sullivan now owns one of these.A Dublin golfer has received a limited-edition BOSS watch after scoring a hole-in-one during a recent competition at his club. A Portrush golfer has received a limited-edition BOSS watch after scoring a hole-in-one witnessed by the 2011 Open champion Darren Clarke.